I'm currently in NYC handling some bidness and judging an event with ArtistAuditions to send a showcase winner Expenses-paid to Dallas to open for Juicy J. 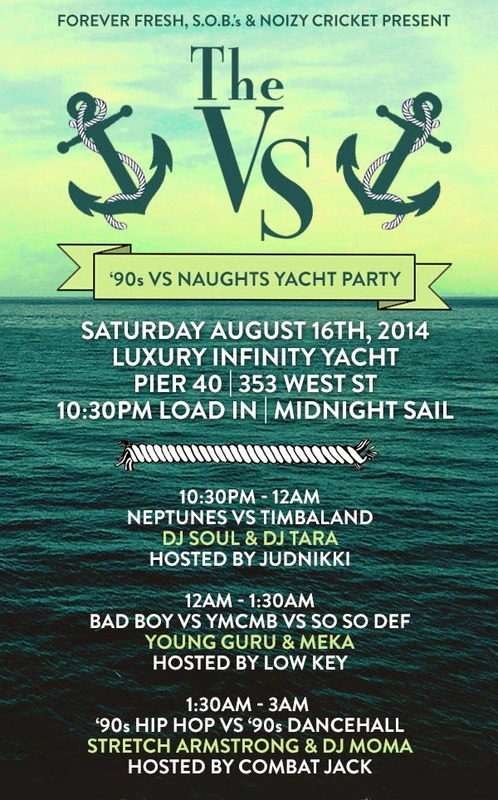 But this is the 2nd Yacht party I was invited to and...I might check it out so I thought I'd share it with you. Complete with a performance by NY's own, Buckshot and Smif N Wessun! Learn more and get tickets here. It's tomorrow night so get ready yo.